In 1945, soon after liberation, Soviet authorities in control of the Kattowitz (Katowice) camp in Poland asked Primo Levi and his fellow captive Leonardo De Benedetti to compile a detailed report on the sanitary conditions in Auschwitz. The result was an extraordinary testimony and one of the first accounts of the extermination camps ever written. The Report on the Monowitz Camp, published in a medical journal in 1946, marked the beginnings of Levi's lifelong work as writer, analyst and witness. 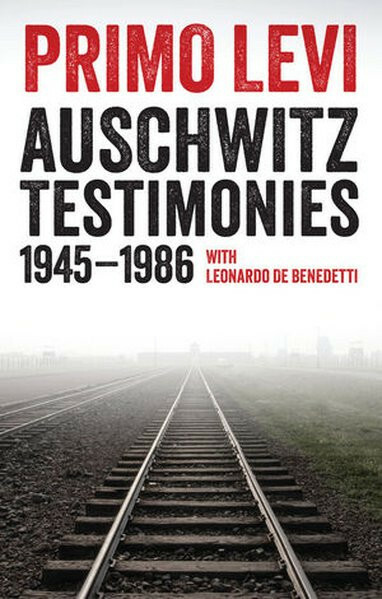 In the subsequent four decades, Levi never ceased to recount his experiences in Auschwitz in a wide variety of texts, many of which are assembled together here for the first time, alongside other testimony from De Benedetti. From early research into the fate of their companions to the deposition written for Eichmann's trial, from the 'letter to the daughter of a fascist who wants to know the truth' to newspaper and magazine articles, Auschwitz Testimonies is a rich mosaic of memories and critical reflections of great historic and human value. Underpinned by his characteristically clear language, rigorous method and deep psychological insight, this collection of testimonies, reports and analyses reaffirms Primo Levi's position as one of the most important chroniclers of the Holocaust. It will find a wide readership, both among the many readers of Levi's work and among all those who wish to understand one of the greatest human tragedies of all time. Unser Kommentar zu "Auschwitz Testimonies"